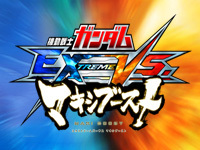 Mobile Suit Gundam Extreme VS. Maxi Boost 1st update hits Japanese arcades today. 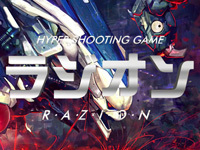 A new mecha is now available: GN-010 Gundam Zabanya. It is piloted by Lockon Stratos (Lyle Dylandy) and comes from Mobile Suit Gundam 00 The Movie -A wakening of the Trailblazer- released on September 2010. It features the followong weapons: GN Holster Bit, GN Missiles, GN Pistol Bit/Rifle Bit II and the following special equipment: Bit Control System, Holographic Targeting, Trans-Am System, "Veda-based Operating System". Antwerp Convention will be held at Antwerp Expo on April 27. 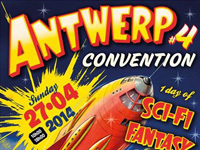 The Antwerp Convention is, for the 4th year in a row, an unmissable meeting place for science fiction, fantasy and horror fans. Everything related to these interests is present: literature, movies, comics, video games, board games, toys, costumes, collectibles,... Throughout the day, many guests will participate in signing sessions: Jeremy Bulloch (Star Wars), Colin Baker (Doctor Who), Gemma Whelan (Game of Thrones), Charles Martinet (the voice of Mario and Luigi), Rafa Sandoval (X-Men), Lee Garbett (Dark Mist),... Manufacturers of movie, series and game replicas will be present with a large number of collectible pieces. A cosplay contest organized by Becosplay will be held on the main stage and for the first time, a wrestling demonstration by Westside Xtreme Wrestling will entertain the crowd! The vistors can participate in board game and card game tournaments, make-up and special effects demonstrations, workshops, readings, questions and answers with the guests,... Regarding games, alongside pinballs and DDR Belgium stands, Arcade Belgium is pleased to be present at the Antwerp Convention for the first time. 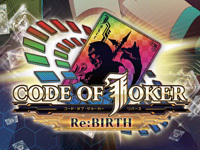 The following games will be available on the stand: Star Wars Trilogy Arcade, Marvel vs. Capcom 2 â€“ New Age of Heroes, Soul Calibur III Arcade Edition, Daemon Bride, Senko no Ronde DUO â€“ Dis-United Order, Ikaruga, Spica Adventure, Zombie Revenge, The House of the Dead 2 et The House of the Dead III. 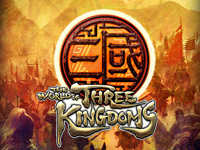 Feel free to participate in our contest to win 2x2 tickets. 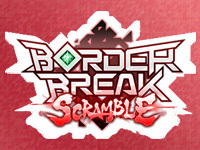 Border Break Scramble Ver. 4.0 is available since yesterday. A new deathmatch mode called "Scramble" allows players to compete alone against 10 other participants. Players can now face Gina, a new boss enemy of the Union Battle. 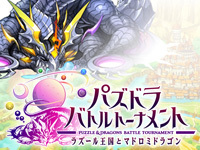 Many other features have been modified to improve the game, including new special status that allow to change strategy on the battlefield.